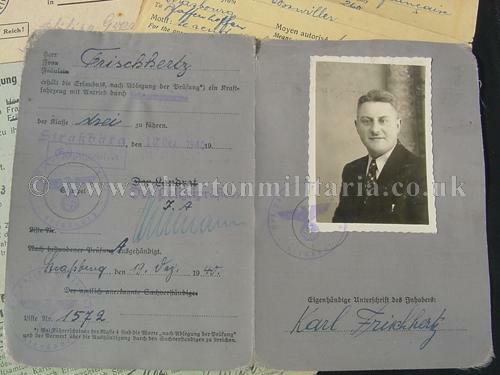 Collection of documents to a family group resident in Strassburg area. Documents to a husband and wife and 2 other family members, includes:- 3 passes to the wife, 1 of which is an allies circulation pass. 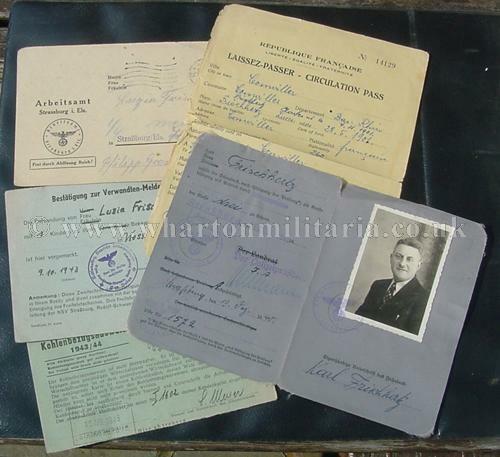 4 documents to the husband, kennkarte & 1943/44 ausweiss for the Koblenz area, personal ausweiss & fuhrerschein, all with photographs. 1 arbeitsbuch to one person and 2 docs to the remaining person, 1 arbeitsbuch and mitglieosbuch.